A revolutionary approach to outsourced warehousing and fulfilment. 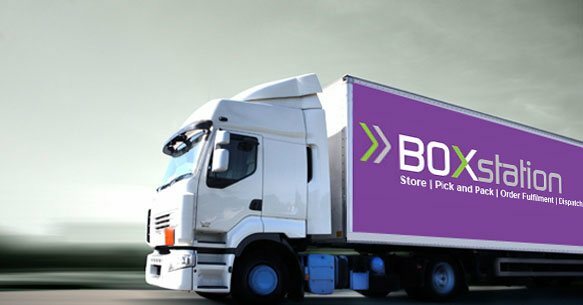 Here at BOXstation we are proud to be able to offer our clients a pay-as-you-go fulfilment services. We are able to provide our clients with a tailor-made solution, which in turn will save them time and money to be able to focus on other projects. A Fulfilment Centre designed for startups or ongoing businesses. Our order fulfilment services are powered by Axida’s PPD (high-end warehouse management system) software to look after product warehousing, inventory management, picking, packing and dispatch in an efficient way. Our Pay-as-you-go service is the perfect answer when considering an order fulfillment package. This has been particularly popular among our Ebay and internet retailers alike. BOXStation have an excellent reputation for working closely with your company, processing orders electronically, returns and administration and distribution of goods. The company is continuously growing and has also made its presence felt in China, US and Australia. Outsourcing order fulfilment gives you time to concentrate on other aspects of the business. So why not let BOXstation take care of your order fulfilment problems today? Simply call 0800 009 4346 now or click to receive a quote. BOXstation has the ability to process orders and ship packages every day. So whether it’s sales or marketing material, advertising, books, sales kits, subscriptions, magazines, catalogues or direct mail pieces, we are here to accomplish all your marketing literature fulfilment needs. Having an experience in the industry for many years, we completely understand that the packing and kitting requirements vary with the size of the business. Retail Kitting & Distribution is needed when the client orders many things together and all these items need shipping. Order fulfilment services have grown much wider in today’s life and are not just the storing and shipping of products anymore. As a result outsourcing your requirements has become a very important decision to make.